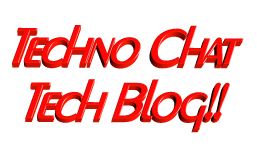 Port Scanner | Techno Chat|Tech Blog!! Few days back I was asked to create a script, which will check RDP port status of multiple servers and send the result as an email notification. I have searched for few, but unfortunately there was no ready script for that. I decided to build one using PowerShell, and came out with following script. Hope this script might help you as well. $body +="$hostn Server listening to port $port"
$body +="$hostn Server not responding to $port"
Subject = "Server Status Check"
SMTPServer = "YOUR SMTP SERVER"
Posted in Windows. Tagged How to scan ports using Windows Power Shell, Port Scanner, Port Scanner with Windows PowerShell, PowerShell.